U.S. Poet Laureate and Emory professor Natasha Trethewey. © 2012 Nancy Crampton. U.S. Poet Laureate and Emory Professor Natasha Trethewey explores how poetry intersects with the world of medicine on the PBS NewsHour's "Where Poetry Lives" series Thursday, Jan. 9. In the third installment of the poetry series, Trethewey and the NewsHour's chief arts correspondent Jeffrey Brown visit a former student of Trethewey’s, now at Harvard Medical School, and her new mentor, Rafael Campo, a doctor, professor and highly regarded poet. Campo just published "Alternative Medicine," his sixth volume of poetry, which examines the relationship between language, empathy and healing. He leads a weekly reading and writing workshop for medical students and residents. 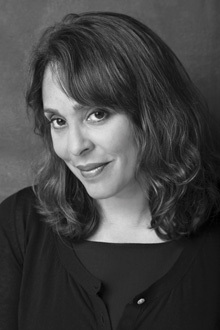 Trethewey will share her thoughts on poetry as "alternative medicine." "Poetry is in every encounter with my patients," Campo says. "When we are with our patients, we are really immersing ourselves in their stories, really hearing their voices in a profound way. And certainly that’s what a poem does." The program will also offer a lesson plan that introduces students to poetry using popular music and Campo’s poetry to help them find their own voice and gain confidence writing their own original poetry, while addressing English Language Arts Common Core Standards. Trethewey, Robert W. Woodruff Professor of English and Creative Writing and director of the Creative Writing Program at Emory, teamed up with the NewsHour's Brown to report from locations across the country on issues that matter to Americans through the framework of poetry.